A Worksop man threatened to “glass” his estranged wife of 29 years after their shared home became a “tinderbox”, a court heard. 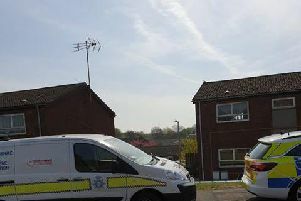 Heath Stanley became angry when his wife raised the possibility of taking him off the tenancy of their council house, on Hardwick Crescent, on March 23. Stanley poked her in the cheek, and when she told him that was assault, he threatened to “glass” her. “I have to live my life on edge and wondering how to react to situations,” she said. Fiona Davidson, mitigating, said: “Suffice to say it’s been a tinderbox in the property for the past two years. “He accepts that his behaviour was wrong that day. It was more born out of frustration. “It is very difficult because Mr Stanley will be homeless if he can’t return to the address. He is currently living in shared accommodation. Stanley, 47, admitted the assault when he appeared at Mansfield Magistrates Court, on Wednesday. “This was an extremely sad incident,” the district judge told him. He fined Stanley £200, ordered him to pay £85 costs and a £30 government surcharge, and imposed a 12-month restraining order.